With stunning views and wide-open spaces, the pure peace of Birkrigg Common attracts thousands of people every year. It’s a wonderful place to walk the dog, ride a bike, or simply take in the fresh air and gather your thoughts. Birkrigg Common was probably just as important for prehistoric communities as it is today. Clues of how the site was used, both in life and in death, are scattered across the Common. Many are hidden beneath a thick canopy of bracken. A number of prehistoric monuments are dotted across Birkrigg Common. 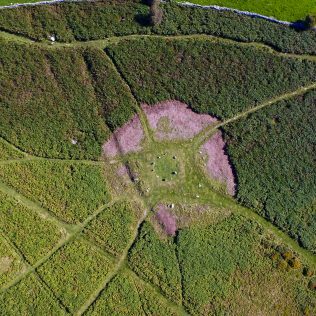 The most well-known is the concentric stone circle (meaning two or more stone rings set within one another), one of only 15 discovered in England. This site dates back to the Late Neolithic – Middle Bronze Age period (2000 – 1240BC). It’s likely to have been an important meeting place for special events, as a place to worship the dead, or as an early calendar to help prehistoric communities understand the seasonal cycle. Birkrigg’s stone circle was the focus of archaeological digs in 1911 and 1921. The 1911 team concluded the site was “home of the dead”, suggesting it was a burial ground for important members of the community. Cobbled pavements were uncovered between the stones, along with remains of at least five cremated bodies. A pottery urn, accidently damaged during the 1911 dig, is kept at The Dock Museum in Barrow-in-Furness. Excavation records revealed “An unlucky push of the spade had cut off and shattered the bottom part of the vessel…broken pieces were collected… every possible care was taken to extract the vessel without further injury”. Since 2015 dedicated volunteers from Morecambe Bay Partnership, Cumbria Wildlife Trust, National Trust and local companies have got to work ‘bracken bashing’ to save sites from the vegetation. 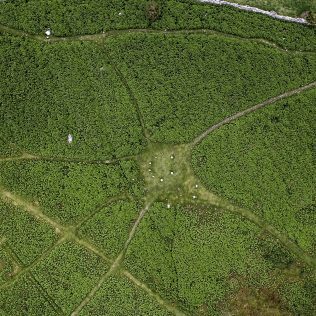 An aerial view of the stone circle on Birkrigg Common, near Urswick, Ulverston, before bracken clearing. It is believed that prehistoric communities lived on the Common in a small settlement. People would have lived in huts within a small enclosed area, close to a much larger area where they kept animals. Early maps clearly show the two enclosures. Bracken clearance at this site is ongoing. A recent aerial image of the cleared area has revealed the stone bank of the smaller enclosure, complete with a gap which may have been the entranceway into this prehistoric village. 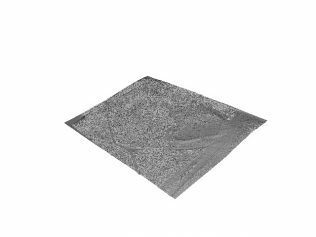 A 3D model of the enclosure site on Birkrigg Common, near Urswick, Ulverston.